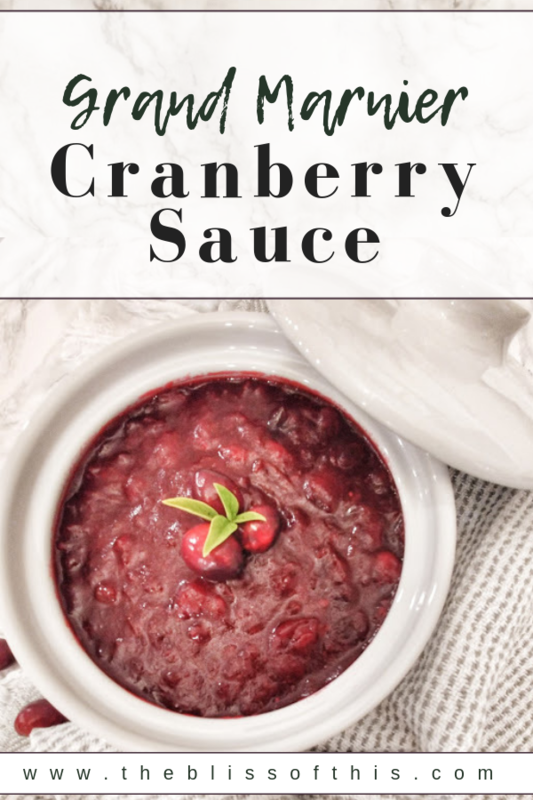 We all know Cranberry sauce is available in a can. 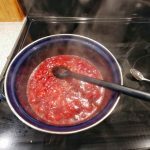 You open the can, plop a gob of red sauce into a bowl, and call it done. If that’s your style- enjoy. But what if I told you it could be better? 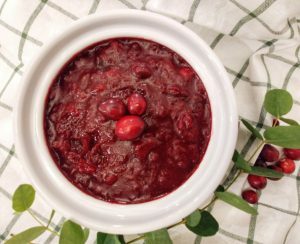 Homemade cranberry sauce is so simple to make; yet for some reason it always gets “ohhhs” and “ahhs” at the table. Good food is like that. 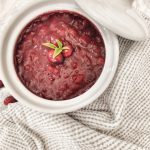 It has the power to impress guests even if it’s as simple as the sauce that goes along side the main star of the show. 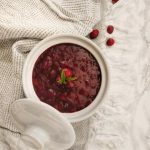 We all appreciate a well roasted turkey, but it’s the details in the side dishes that take your dinner from same old, to “wow”. Plus, I’m no turkey cookin’ expert, so even if it gets left in the oven a bit too long, at least there’s something to disguise the dryness. It’s all trickery at our table. 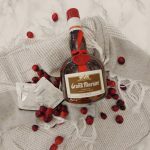 The ingredients are very simple: whole cranberries, sugar, water, grand marnier, and Christmas Tea (optional). The tea has dried orange, and seasonal spices. It’s completely optional, but I like the extra hint of warm spices that it adds. 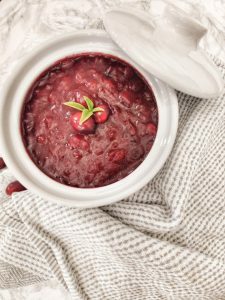 Plus, it made my kitchen smell absolutely amazing while it was steeping… what’s not to love? 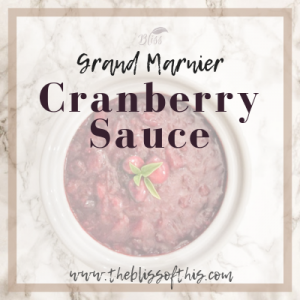 As this sauce gently simmers on the stove, you will hear the subtle “pop” of the cranberries. Maybe I need to get out more, but I always find this part entertaining. 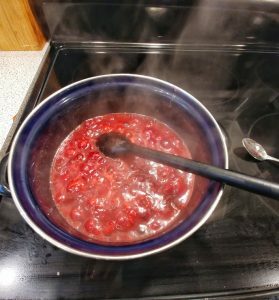 Don’t forget to stir often at this stage- there’s a lot of sugar in this sauce, and sugar likes to burn. Don’t worry though, it’s worth the extra stirring… this sauce is something to be proud of. Grab a heavy bottomed pot, and let’s make this happen! 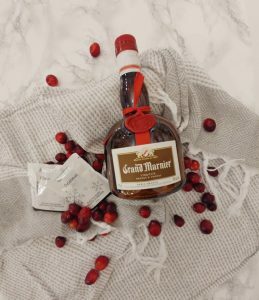 The perfect blend of tart and sweet, complimented with a shot of Grand Marnier. 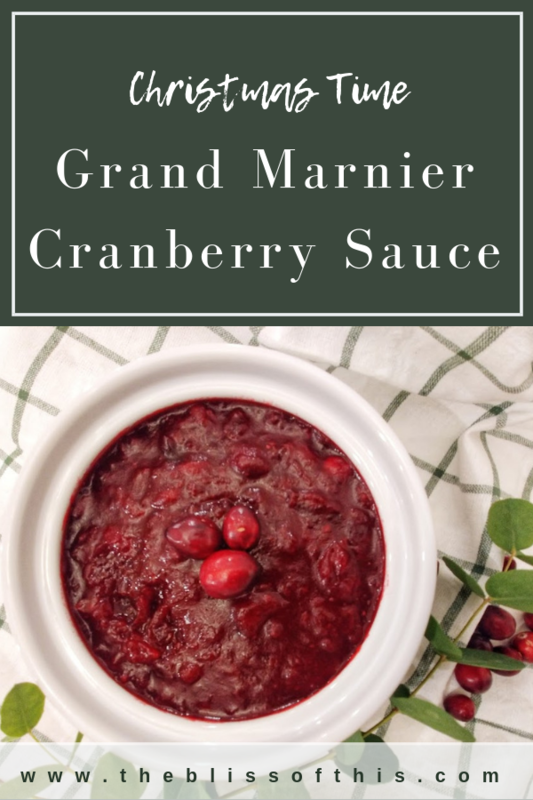 Spoil your guests with this delightful sauce at your next holiday feast! Stir water and sugar in medium, heavy bottomed saucepan over medium heat. Dissolve sugar. Cool slightly, before adding 1/4 cup Grand Marnier (or more, to taste). Stir gently. Cool at room temperature. Refrigerate until ready to use. Curious about the tasseled tea towel/ hand towel (assoc. link) I used for the pictures? They are available on Amazon.